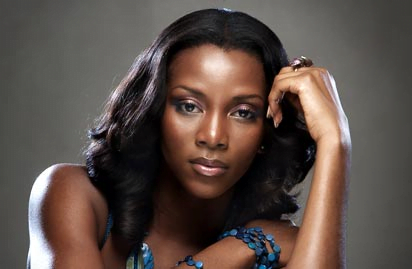 Nollywood actress, Genevieve Nnaji who replaced Funke Akindele on cast list of upcoming superhero movie, ‘Avengers: Infinity War’ has been removed. DAILY POST reported that Akindele’s name was published on popular movie review website, IMDB, where it revealed she will act alongside international movie stars, Robert Downey Jr and Chris Hemsworth, in Marvel Studios’ ‘Avengers: Infinity Wars’.According to IMDB, Akindele was to play a member of the Dora Milaje, a team of women who serve as personal bodyguards of the Black Panther, the spiritual leader of Wakanda. However, a check on the official website on Monday showed that Funke’s name has been deleted from the cast list and replaced with Genevieve Nnaji who will be playing same role, Dora Milaje. However, at the early hours of Tuesday the website removed Genevieve too as a cast in the movie. As of the time of filling this report, both actresses are yet to speak on the development.